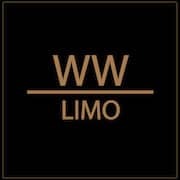 WWLIMO / Limousine Service News / Wedding Limousine: which one to choose from? To succeed in organizing one’s marriage is to take into account certain factors, whether internal or external. But when it comes to a wedding limousine to drive the couple to and after their wedding, you have to think of a car that is out of the ordinary. Why not a limousine? But what type of limousine you should pick? What color ? Where to find the best limousine service? These are the questions that event organizers ask themselves. But that should not be a problem when you book with WWLIMO. The most important moment in life, marriage is a sacred union that engages two beings to love each other for life. This moment is inscribed as a purely symbolic act by which the couple show each other mutual love. For this purpose, it is necessary to add a personalized touch depending on the wedding theme. The decoration of your reception area, the type of car … these are all concerns that organizers must address. Making marriage an unforgettable event is not an easy task. But getting limo services quickly becomes a priority. Available in several varieties and in several types, you can choose a wedding limousine according to the marriage theme and without any constraint. A Limousine, yes… But which one? Choosing a wedding limousine would surely make this special moment magic. Selecting the right one will make it unforgettable. Travel the entire city aboard a limousine with your sweetheart and make this day engraved forever. By opting for WWLIMO, you can choose the car of your choice. Take into account the color that suits you best. Besides the choice of the car, you could opt for a special decoration by adding flowers or by putting a little more decoration inside the car. In addition to personal decoration, you will be greeted by a professional driver who will be happy to accompany you throughout the day. By striving to satisfy our customers on their most important day, WWLIMO is committed to providing you with an unforgettable experience.